If there’s one way to take something that’s already wonderfully geeky—like, say, J.K. Rowling’s Harry Potter novels—and make it even more magical, it’s statistics. 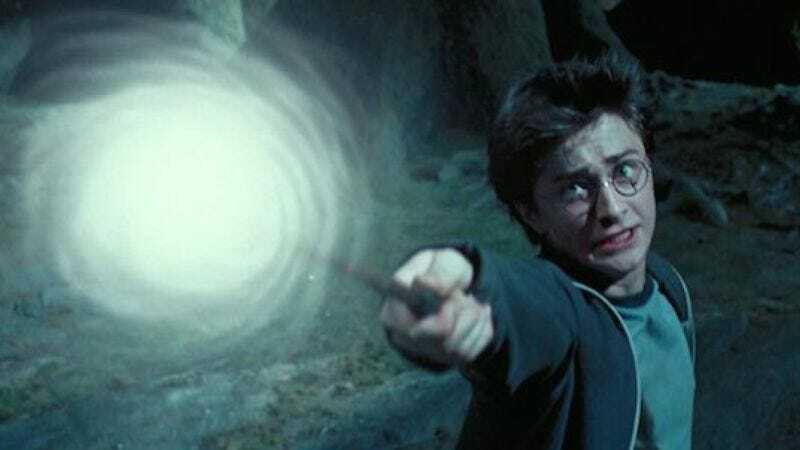 We’re in luck, then, because Tableau user Skyler Johnson has taken the time to comb through all 130,000 words of Rowling’s seven-book series, and put together a handy chart of how often all 80 or so of its magical spells are used. Apparently, wizards are really into glowing animals, knocking people out, and not moving around much, since the top three spells on the list are expecto patronum, stupefy, and accio. (The “fetching” spell accio tops the list, suggesting that many Hogwarts graduates might need to cast some “cardio” for themselves later on in life.) And lest you think Rowling’s books are all sunshine and light, avada kedavra, crucio, and imperio—the three “unforgivable” curses that kill, torture, and control minds, respectively—are all near the top of the list. The really interesting stuff is down at the bottom, though, with the one-time spells, i.e. the stuff Rowling thought up one night, and then never remembered to use again. Members of the one-timers club include glisseo (“turns stairs into ramps”), densaugeo (“enlarges teeth”), and the always popular mobilicorpus (“moves unconscious bodies”). You can see the whole chart—including accompanying text passages showing when the spells were used—right here.